Another week, more Stampin' Up! awesome deals. Here is what's on sale this week. 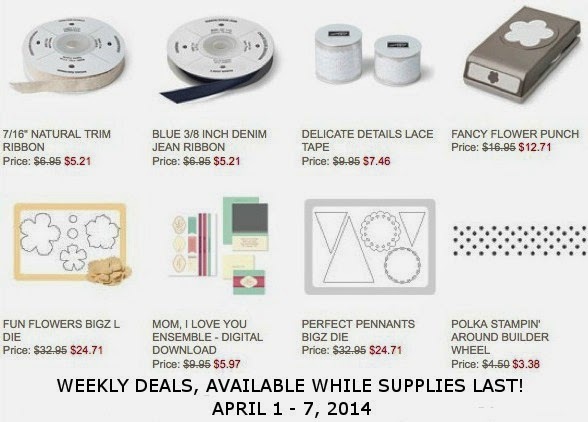 Ribbons and Dies and Builder Wheels and MDS Downloads... don't miss these deals!